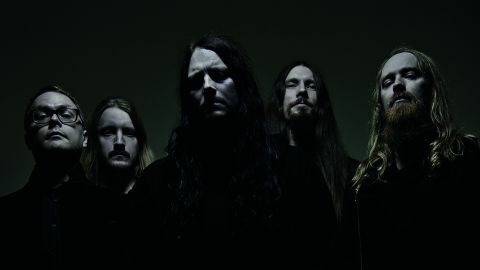 After 25 years as one of melancholy’s foremost exponents, Katatonia have chosen their 10th album to embark upon a new era, aided by the addition of two new members, drummer Daniel Moilanen and guitarist Roger Öjersson (formerly of fellow Swedes Tiamat). Picking up where 2012’s Dead End Kings left off, The Fall Of Hearts sees them exploring increasingly progressive territories, noticeable from the outset on the eloquent flourish of Takeover, which grows increasingly muscular across its seven minutes. Serein features a classic Anders Nyström guitar lead – a rare presence as the band lessen their dependence upon a once-defining attribute. New six stringer Öjersson brings an equally bold but refreshing personality amidst the bleakly wistful environs of Old Heart Falls and the technical twists of Serac. On Sanction, the tumbling drum cascades add new dynamics to riffs that can feel overly familiar. The more Katatonia explore these progressive elements, the more The Fall of Hearts takes rejuvenated breaths, maturing in much the same way peers Anathema and Opeth did. Should this continue, what lies ahead of Katatonia may be more interesting than what lies recently behind.